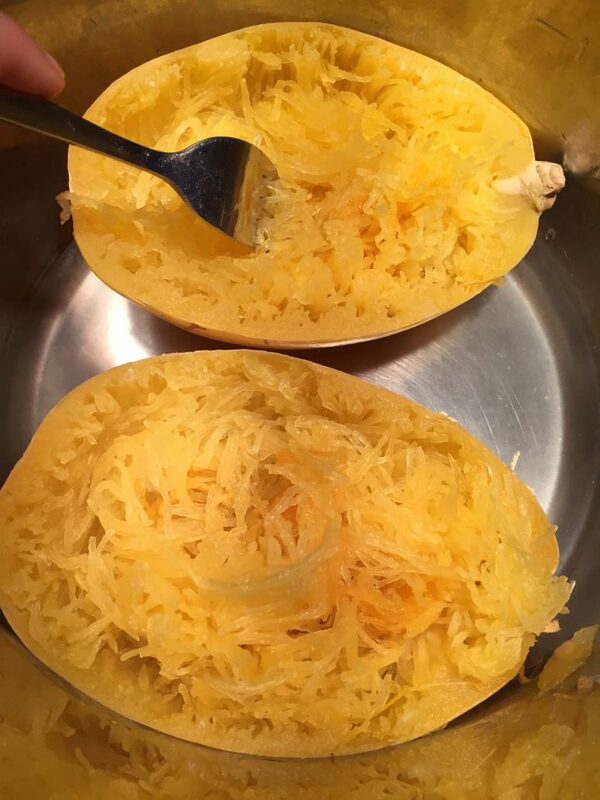 Spaghetti squash is the perfect, healthy, paleo, gluten-free, low carb and low calorie alternative to regular pasta. 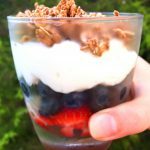 And thanks to the magic of the Instant Pot, its super easy and fast to make! If you’ve stared at those big canary-yellow spaghetti squash in the produce aisle and wondered how on earth it could be transformed into anything resembling spaghetti, your Instant Pot will allow you perform culinary alchemy. No spiralizers or other gadgets needed – and you’ll save time and the risk of slicing your finger! And, I know you’re wondering – does it taste like spaghetti? Well, yes….and no. 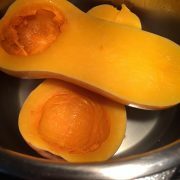 Once it’s cooked in your Instant Pot, the yellow flesh of this squash will separate into long thin, spaghetti-like strands. The texture is like angel hair pasta — tender and chewy, and a bit fragile. The flavor is very mild, almost bland, just like pasta is – the perfect base for any Italian or Asian dish using pasta or noodles. 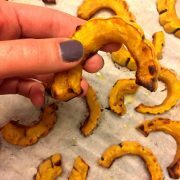 It’s nothing like the flavor of acorn or butternut squash. 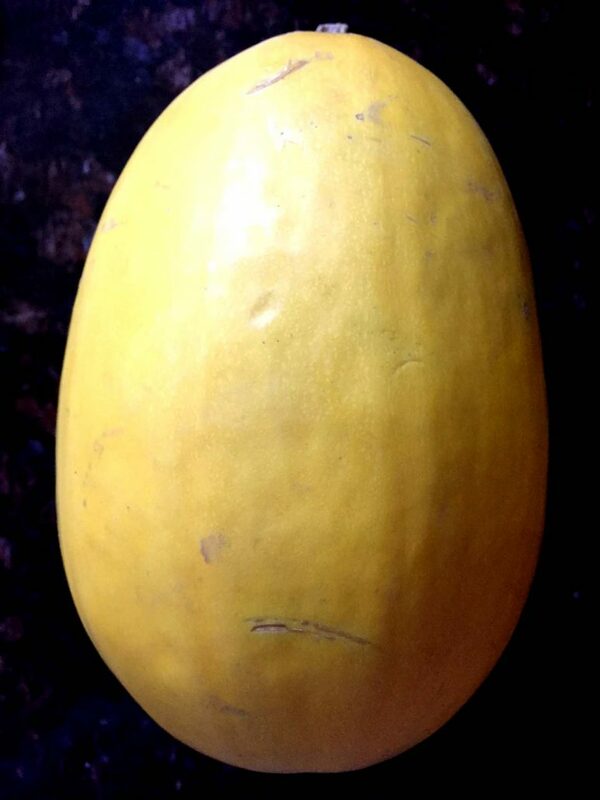 That said, even though Mother Nature has given this squash some spaghetti-like attributes, it is still a squash. It looks like pasta, has a texture like pasta, and a similar taste, but it’s probably not going to fool anyone. The good news is that once you’ve served Instant Pot Spaghetti Squash, both you, and your kids, want it again and again. There are so many good things about this Instant Pot Spaghetti Squash, that you might be tempted to never cook “real” spaghetti again. 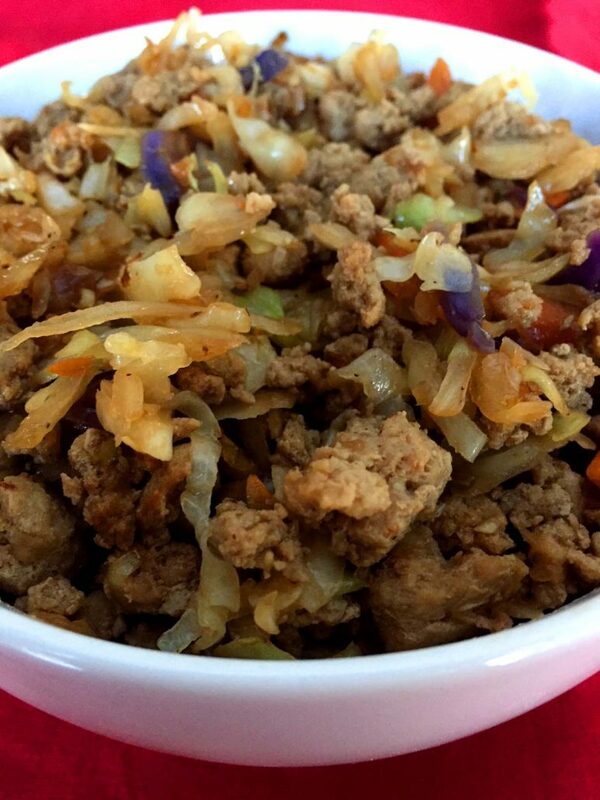 Spaghetti squash is paleo. It’s gluten-free. It’s low calorie and low-carb – a cup has only 40 calories and 10 grams of carbs, compared to wheat pasta, which has 200 calories and 40 grams of carbs! 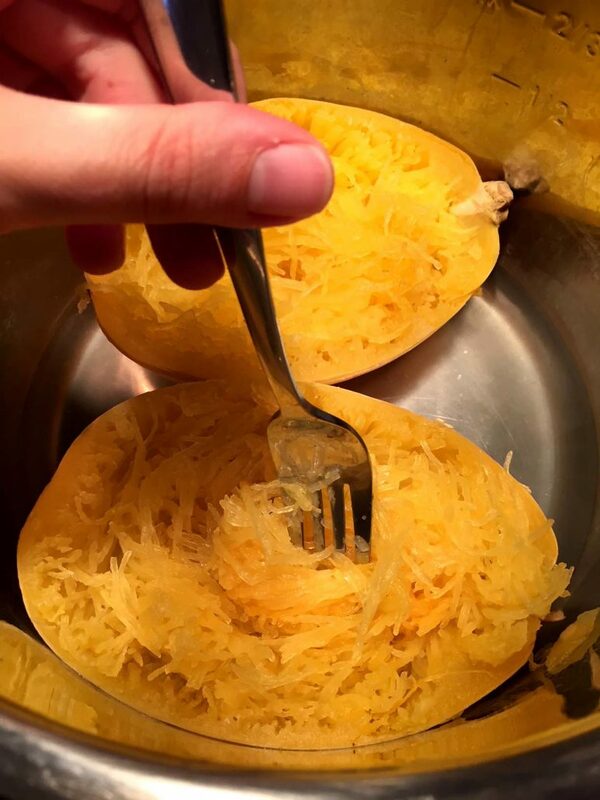 And, spaghetti squash has nutritional benefits way beyond regular old spaghetti – it’s a good source of vitamin A, beta carotene, folic acid, calcium, potassium, magnesium, and niacin , and has 2 grams of fiber per cup. All of that, and it tastes great, too. Instant Pot spaghetti squash – an easy, guilt-free way to enjoy your favorite pasta meals! 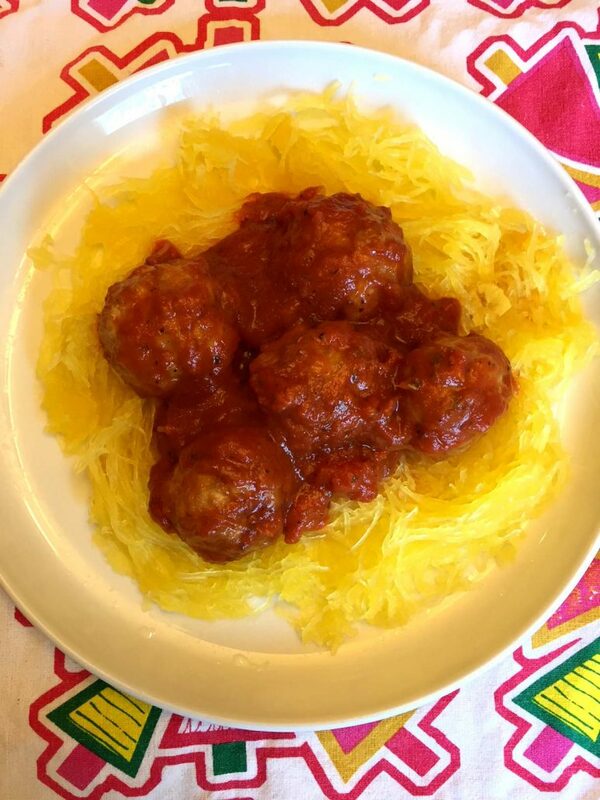 Like these yummy meatballs that are served with the spaghetti squash on this picture? They are cooked in the Instant Pot too! 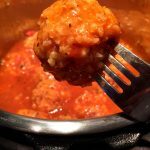 Check out my Instant Pot meatballs recipe for amazingly juicy and tender meatballs, you’ll love them! Instant Pot Brussels Sprouts – perfectly cooked in minutes! So bright green, healthy and delicious! Instant Pot Bone Broth – transform leftover chicken bones into the ultimate health food! 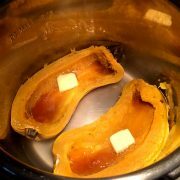 Instant Pot Sweet Potatoes – perfectly cooked and so soft and tender! This is the best way of cooking sweet potatoes ever! 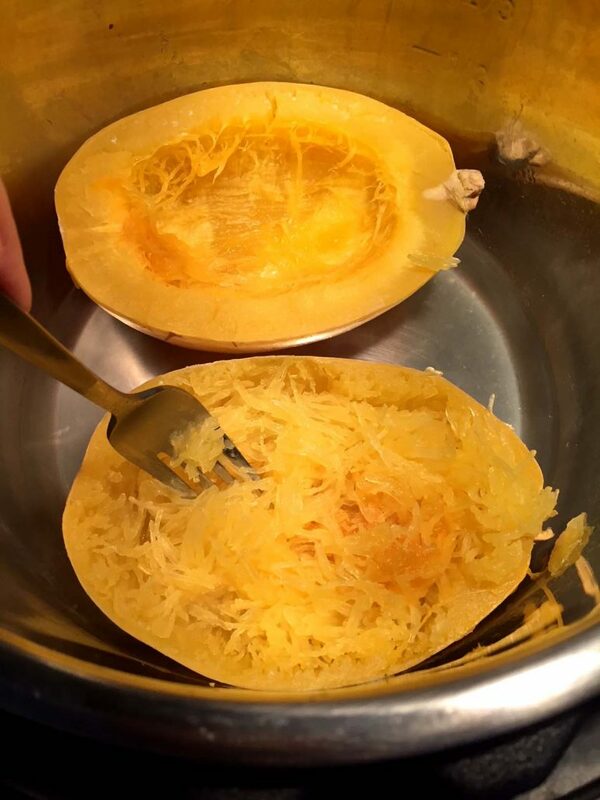 This Instant Pot spaghetti squash is so easy to make, healthy and delicious! 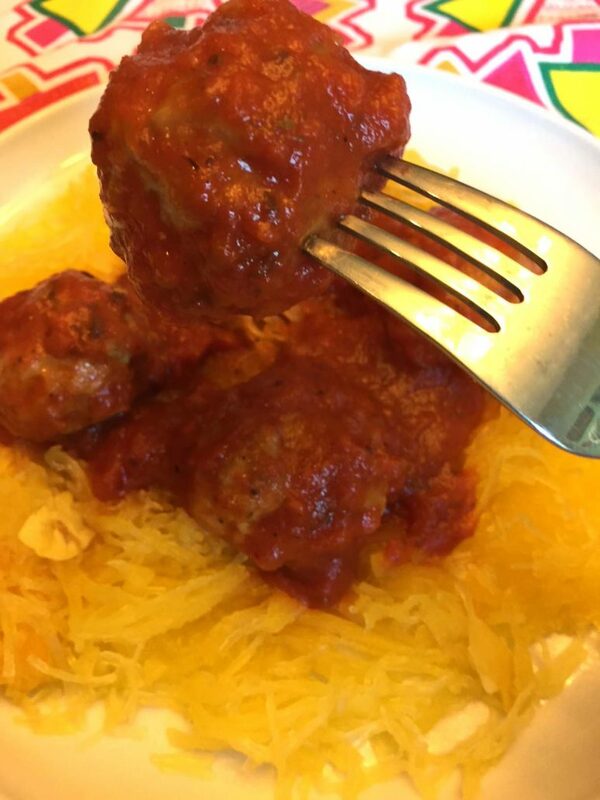 Spaghetti squash is a perfect healthy alternative to pasta and is super easy to make in the Instant Pot! Pour water in the Instant Pot and add spaghetti squash (cut side up). Close the lid and turn the valve to a Sealing position. Press the "Pressure Cook" or "Manual" button and set the time to 10 minutes on High pressure. When the Instant Pot is done cooking, quick release (QR) the steam. 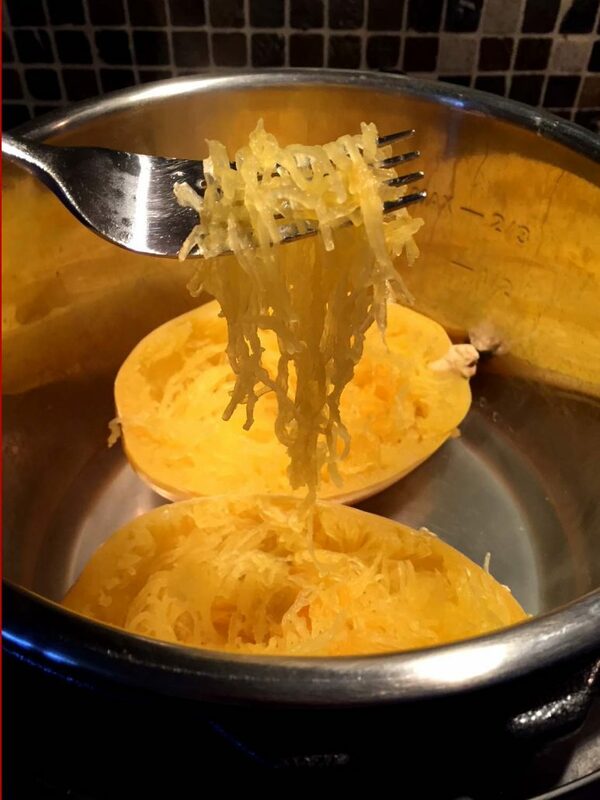 Using a fork, shred the spaghetti squash into pasta-like strands. 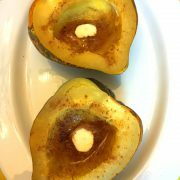 You can also cook the spaghetti squash whole if you prefer. 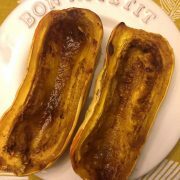 Just put the whole squash in the Instant Pot with 1 cup of water and cook on High pressure for 20 minutes, followed by quick release.